First sentence: "Hey, L! Mr. Henricks wants to see you!" Premise/plot: Among the Barons is the fourth book in Margaret Peterson Haddix's Shadow Children series. In this fourth book, Lee/Luke faces new challenges and dangers. Lee's 'brother' Smits has come to the boys school. His parents have sent him because he's been troubled the past few months. His trouble? His brother Lee is dead--remember Luke has assumed his identity in order to come out of hiding--and Smits can't talk about it with anyone, or grieve in any normal way. Luke/Lee finds himself pondering: what does this kid want from me? is he angry with me? does he want to expose me as a fraud? is he trustworthy? why does he want me for a brother when clearly we've never met? Smits does not come alone; accompanying Smits is his ever-present sledge-hammer-wielding bodyguard named Oscar. Luke/Lee soon finds his questions doubled. After a close call at school, the boys are called home. And...wait for it...Luke/Lee finds himself AMONG THE BARONS. My thoughts: This series continues to hold my interest. The only book that I remembered clearly--at least so far--is the first book. So in a way, I feel like I am reading this series for the first time. I find myself getting swept up into the drama and mystery. 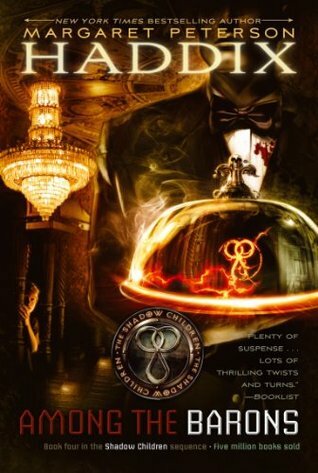 I would definitely recommend this series if you're looking for a compelling, fast-paced read. First sentence: My friends and I love adventure. We play pirates all the time. Together, we rule the high seas. 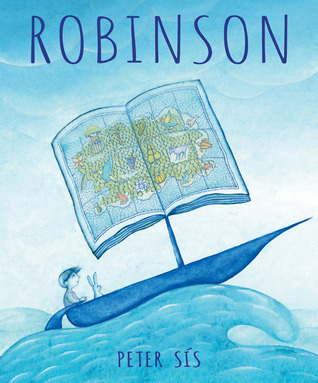 Premise/plot: Sis was inspired to write Robinson when he found an old photo of himself as a boy dressed up as Robinson Crusoe for his school's costume day. The story is told in the first person narrative. Readers meet a young boy who loves adventures, loves playing with his friends, loves dressing up as his favorite, favorite hero: Robinson Crusoe. What he doesn't love? Getting laughed at and teased by his classmates. Half the book takes place in the boy's imagination. He's sick in bed, but he's also traveling far, far away to an island and having incredible adventures. The book ends with a reconciliation between him and his friends. My thoughts: I really enjoyed this one. I love the story behind it. I loved seeing the actual photo. I loved hearing about his experiences. It does help, I think, to know he won the costume contest; he did feel awkward and uncomfortable to some extent; and he happened to be sick in bed with a fever right after. I love how the illustrations take us on journeys and adventures. First sentence: With a single drop of ink for a mirror, the Egyptian sorcerer undertakes to reveal to any chance comer far-reaching visions of the past. Adam Bede opens in the summer of 1799 in a rural community that is about to be scandalized. Adam Bede loves Hetty Sorrel. Seth Bede loves Dinah Morris. Dinah and Hetty are cousins; both orphans, both staying with the same aunt and uncle. The two women couldn't be more different from one another. Hetty is young, beautiful, lives in the clouds instead of down on earth, believes in fairy tales and knights in shining armor. Dinah Morris isn't "old" by any stretch of the imagination, but her wisdom makes her more of an old soul than Hetty could ever be. She's a Methodist--a Methodist preacher. She's loving, compassionate, intelligent, wise, honest and sincere. The squire's heir, Arthur Donnithorne, falls hard for Hetty. He's a soldier--home visiting just for a short time. He sees her, sees potential danger, rushes ahead anyway. He knows how it will end--just not when. It will end with him leaving her behind forever. Arthur could no more marry Hetty than he could fly to the moon and back. He knows also that Hetty will be crushed when he leaves. He'll also be upset. But he doesn't seem to grasp that he's aware of all the risks and she isn't. Not really. For one thing, she thinks she's as good as engaged. She knows that one day--hopefully soon--they'll be man and wife. All will be made right then. Readers aren't horribly clear on if Hetty is aware of one HUGE danger. Does Hetty realize that she could get pregnant? Arthur seems aware of this danger; in his goodbye forever letter, he tells Hetty to write to him immediately if a PROBLEM should come up in the next month or so. Hetty doesn't seem to realize Arthur's veiled hints mean: if you should find yourself with child, let me know. Before Arthur leaves, Dinah reaches out to Hetty. If you should ever find yourself in need of a friend, I'll be there for you no matter what. You are loved--unconditionally. Dinah herself leaves the community much earlier than that. She is being led by the Lord. She rejects Seth's proposal before she leaves. Adam and Arthur are friends; their friendship is unequal perhaps. Arthur will be squire one day. He's several ranks above what Adam could ever hope to be. Adam is a working man, a hard-working man. He may or may not ever have enough money to marry and have his own place--apart from his brother and mother. But he loves Hetty. He is biding his time. Arthur is speeding up the situation by giving Adam opportunities and advantages in his carpentry business. Arthur has a conscience, but it's weak. Adam has a conscience, and it's STRONG. Arthur knows right from wrong, but he follows his mind and not his conscience. He feels guilt, but doesn't repent. Part of repenting is turning away from sin, fighting temptation, and changing your behavior. Arthur's guilt doesn't lead him to repentance. Adam and Arthur have a CONFRONTATION before he leaves. He has caught Arthur and Hetty kissing in the woods. Adam loses respect for Arthur, but not for Hetty. She was a victim; Arthur was taking advantage of her innocence. Arthur should have known better. Hetty wasn't capable of knowing better. As Adam reckons it. Several weeks after Arthur leaves, Hetty and Adam begin to court. She agrees to marry him. The family is elated. The wedding is planned for around Easter time. A month or so before the wedding, in February, I believe. Hetty decides to "visit" Dinah. Hetty is in actuality planning on running away--for good. Where is she running? To the last place she knew Arthur to be. Why? Because she's about to give birth to Arthur's child and no one knows. When does Hetty learn that she's pregnant? Why did she wait so long to run away? Why didn't she write Arthur as he told her to? Does Hetty know she's pregnant? Is she in denial? How do her friends and family not know she's pregnant? When she runs away she is about eight months pregnant. Is Hetty in her right mind when she runs away? At what point does her brain break down? When does Hetty lose the ability--does she lose the ability--to know right from wrong? Because her excuse was a good one, it takes almost three weeks before her family realizes she is missing. And it takes a good bit of time before Adam tracks down where Hetty went first. Before he puts all the pieces together, he is given a big shock. A woman matching Hetty's description has just been put in JAIL for MURDER. She has murdered her baby. He was found half-buried in the woods and discovered by a farmer. SCANDAL. The "scandal" of the summer of 1799 might have been a "crazy" woman preacher preaching outside to the masses. The scandal of the spring/summer of 1800 was that one of their own was capable of MURDER (not to mention fornication). Who will be there for Hetty? Will every single man and woman turn their backs on her? Enter Dinah. Only Dinah embraces Hetty and supports her one hundred percent. Unconditional love is in fact unconditional. Where does Adam fit in? Well. He doesn't love Hetty anymore. He sees her as forever stained and beyond redemption. Because she is facing death, he digs deep and finds it possible to forgive her. Love, for Adam, was not unconditional but conditional. Now, for the record he blames Arthur almost exclusively. If it were up to Adam, both Hetty and Arthur would be on trial and facing death. Justice demands that Arthur be held accountable too. Of course, that is not how the world works. The aftermath. Life eventually settles back into a routine of its own, but, some things can't be forgotten completely. Adam does find love again--in the arms of an amazing, wonderful woman: Dinah. If I had to pick one character to LOVE from Adam Bede, it wouldn't be Adam Bede. It would be DINAH. 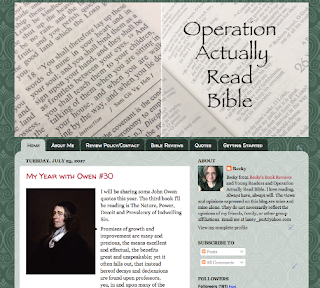 For a more spiritual/philosophical review read my review at Operation Actually Read Bible. Let evil words die as soon as they're spoken. Weaknesses and errors must be forgiven—alas! they are not alien to us. We may determine not to gather any cherries and keep our hands sturdily in our pockets, but we can't prevent our mouths from watering. I don't believe there's anything you can't prevail on people to do with kindness. A man can never do anything at variance with his own nature. He carries within him the germ of his most exceptional action; and if we wise people make eminent fools of ourselves on any particular occasion, we must endure the legitimate conclusion that we carry a few grains of folly to our ounce of wisdom. You must learn to deal with odd and even in life, as well as in figures. And so Adam went to bed comforted, having woven for himself an ingenious web of probabilities—the surest screen a wise man can place between himself and the truth. For there is no hour that has not its births of gladness and despair, no morning brightness that does not bring new sickness to desolation as well as new forces to genius and love. There are so many of us, and our lots are so different, what wonder that Nature's mood is often in harsh contrast with the great crisis of our lives? We are children of a large family, and must learn, as such children do, not to expect that our hurts will be made much of—to be content with little nurture and caressing, and help each other the more. Sleep comes to the perplexed—if the perplexed are only weary enough. Our deeds determine us, as much as we determine our deeds, and until we know what has been or will be the peculiar combination of outward with inward facts, which constitutes a man's critical actions, it will be better not to think ourselves wise about his character. Premise/plot: Eric Litwin is the author/creator of the original Pete the Cat books. His newest creation is Groovy Joe. 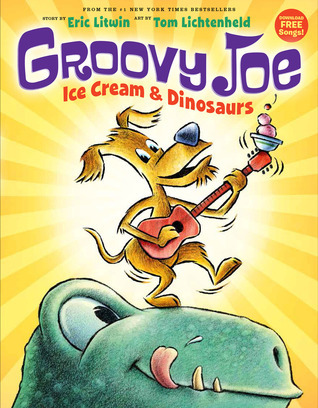 Groovy Joe is a dog LOVING his doggy ice cream. Life is SWEET. But what will happen when that good life gets interrupted--multiple times--by HUNGRY dinosaurs? Will Groovy Joe get upset? Or will he keep on singing? My thoughts: I enjoyed this one. I enjoyed meeting the character of Groovy Joe. I like his willingness to share. Sharing doesn't particularly come naturally--to anyone. I also enjoy the repetition of this one. It will be easy for little ones to join in. First sentence: I am a happy dreamer. I'm really good at dreaming. Daydreams. Big dreams. Little dreams. Creative dreams. Dreamer maximus! 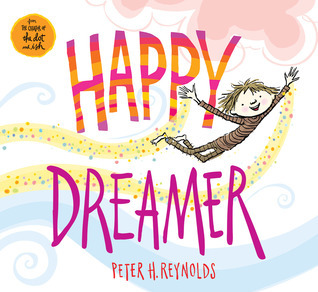 Premise/plot: This book asks, what kind of dreamer are you?! It also encourages every reader to be true to themselves. My thoughts: I really enjoyed this one. It thoroughly explores the subject. It isn't always easy. Sometimes the world wants to box you in, shut you up, tell you who to be and how to be. But dreamers have a way of bouncing back, moving forward, and finding their voice. This one is a bit wordy. It's also a bit philosophical. I'm not sure if either of these would keep it from being a good choice for a read aloud. It probably depends on YOUR little one--especially in terms of long attention spans. Attention spans being one of the many things mentioned in the book itself. I liked the book very much. I liked the message for the most part. I do think you have to learn how to function in the world in spite of having big, big dreams with a mind of their own. But there is always, always a place for dreaming. First sentence: You were supposed to wake up from nightmares. 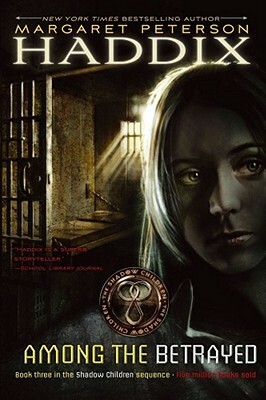 Premise/plot: Among the Betrayed is the third book in the fast-paced, action series by Margaret Peterson Haddix. This Shadow Children's novel doesn't focus on Luke--or Lee. The narrative shifts to a girl we met in the second book, Nina. What do we know about Nina from the last book? Well, she attends a girls school close to the school that Lee Grant attends. Nina is good friends with Jason. Lee overhears Jason talking about how he and Nina are getting ready to betray the students who are illegal and trying to pass using fake ids. Lee calls Mr. Talbot and tries to let him know what's going on without saying it in an obvious way. Among the Betrayed is Nina's story. Nina is being held prisoner; but does she belong in prison? Is she guilty of a crime? Or has she been framed? Nina's loyalty is put to the test. My thoughts: I am rereading this series. At first I didn't remember this narrative shift. You'd think I remembered that one whole book is narrated by someone else, but, I didn't. Then again, that isn't a big shock. I read a lot of books! I did like Nina. Within a few chapters, I was completely hooked to this one and enjoying it just as much as the previous two novels in the series. 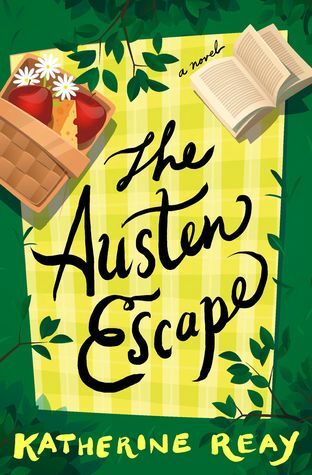 First sentence: Caroline's wrist turned and flicked as the steel tongue of her crochet hook dipped in and out, mirroring the movement of the fiddle's bow. 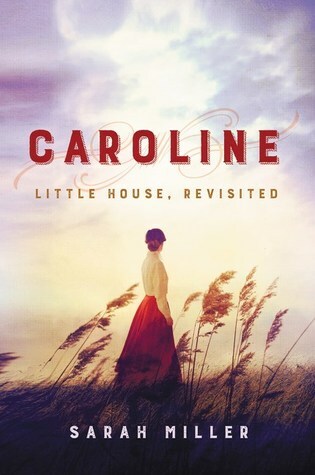 Premise/plot: Sarah Miller's Caroline retells the story of Little House on the Prairie through the eyes of Ma Ingalls. The novel opens with Charles telling Caroline the news: they're going to Kansas. She has news of her own: she's pregnant. Mary and Laura are kept in the distance, in the background. At the forefront in this one is what Caroline is thinking and feeling. Much of the plot will be familiar to readers, but not in particulars. Laura fictionalized her family's experience. There are scenes that take on new layers when you realize that Ma was either pregnant or nursing a newborn. My thoughts: I wanted to love, love, love this one. I didn't quite. I found it interesting and thought-provoking. Caroline's portrayal makes her more human in many ways. She's introspective. She has fears, worries, doubts. She submits to her husband though she has opinions--strong opinions at times. She has insecurities and weaknesses. She doesn't always know what to say, what to do, how to manage. She's very much in control--on the outside--but on the inside, she struggles. One thing that is hard to relate to with Caroline is the fact that she isn't one for showing her emotions or openly sharing her thoughts and feelings. I found it disconcerting as well. 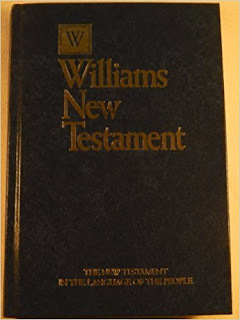 Here we have the first three hundred pages relatively clean (minus a few glances from Pa that made Ma blush because she knew what he was thinking). 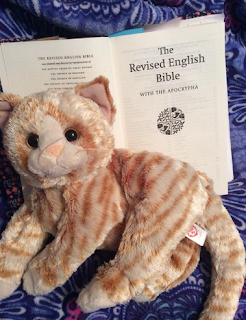 She often comforts herself with Bible verses: Scripture calms her fears, quiets her anxieties. How often in books do you find characters dwelling on Scripture?! I know there's just a small minority of us in the world that value clean books free of descriptive, graphic adult scenes. I'm fine with being in the minority. I just wish this book hadn't gone there so graphically. I just have a few books left in the Revised English Bible. Ezekiel and Daniel in the Old Testament. John, Titus, Philemon, James, 1 John, 2 John, 3 John, Jude, and Revelation in the New Testament. I'm looking to finish this one this week. 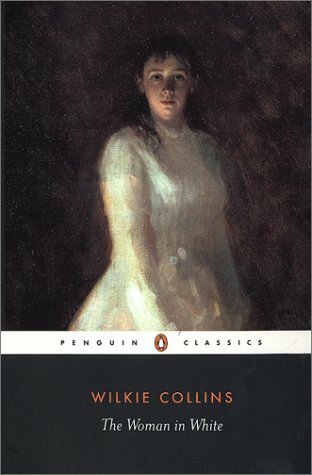 I picked this one up again this past week, shortly after finishing Castle Richmond by Anthony Trollope. I hope to finish it in the next week or two if I can stay focused! I should finish this one this week. 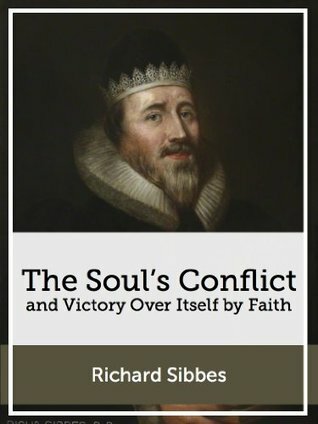 I am LOVING Richard Sibbes. Thomas Manton is another Puritan I love and adore. 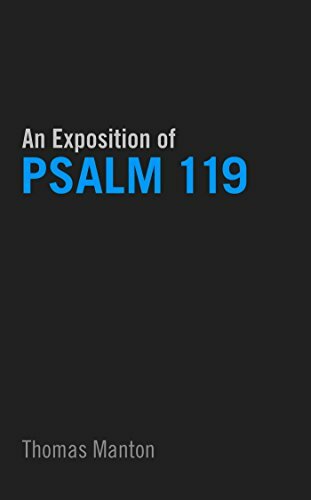 I believe I've read the first fifty-three sermons which have covered Psalms 119:1-47. This is a reread. 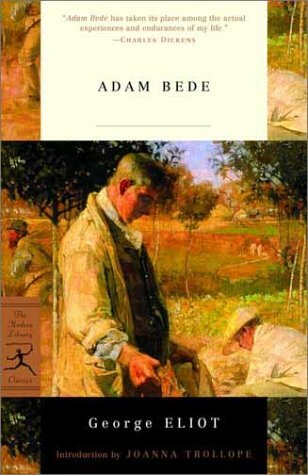 I know it isn't the best idea for me to be trying to read Adam Bede and The Woman in White at the same time. I will probably focus on Adam Bede. I need to check a novel by George Eliot off my Victorian Reading Challenge check list. First sentence: Early one morning, a mouse met a wolf, and he was quickly gobbled up. Premise/plot: Is that how you were expecting the story to open? Are you at all surprised that almost *all* of the book is set IN the wolf's stomach? The main characters are a MOUSE and a DUCK. These two meet--in the wolf's stomach--and both come to share the same opinion: THIS IS THE GOOD LIFE. Life on the INSIDE is much better than life on the OUTSIDE. On the inside, there are no worries, no fears. Just a lot of relaxing and coaxing on their parts--to get the wolf to eat what they want him to eat. But. 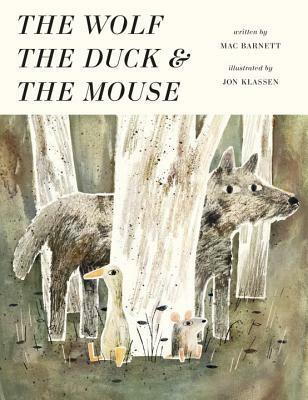 Their good life is threatened one day....can the mouse, duck, and wolf work together?! My thoughts: This may be my favorite Mac Barnett picture book. Maybe. I definitely loved it more than Triangle. I enjoyed the characters. I enjoyed the plot. I enjoyed the ending--how he turns this into a this-is-why-the-wolf-howls-at-the-moon story. It was fun. It was bizarre. First sentence: You can read this book to a hippo. You can read this book in the bath. If you read this book being tickled, I dare you not to laugh! You can kiss and hug and smell this book. That might sound sort of silly. You can wrap this book in a sweater, if it ever gets too chilly. 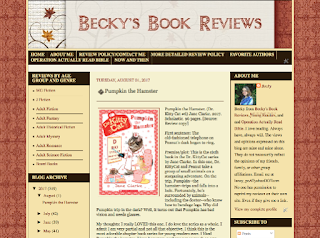 Premise/plot: The children in this book have found a book that they LOVE, LOVE, LOVE. My thoughts: Who hasn't wanted to hug a book? Be honest. Aren't there some books that you really do love in a crazy, over-the-top way? The question isn't have I ever really, truly loved a book. 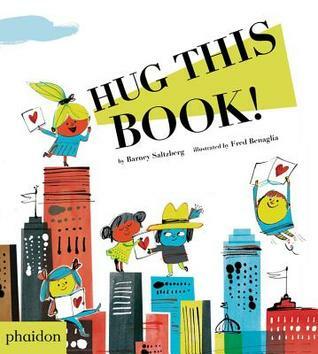 The question is do I feel that way about Barney Saltzberg's Hug This Book?! I can appreciate the over-the-top nature of the book. It's very silly. But the thing is that I really do find myself loving the rhythm and rhyme of it. I think the text just works really well when read aloud. That being said, do I love the art? Not really. In fact, I really don't. 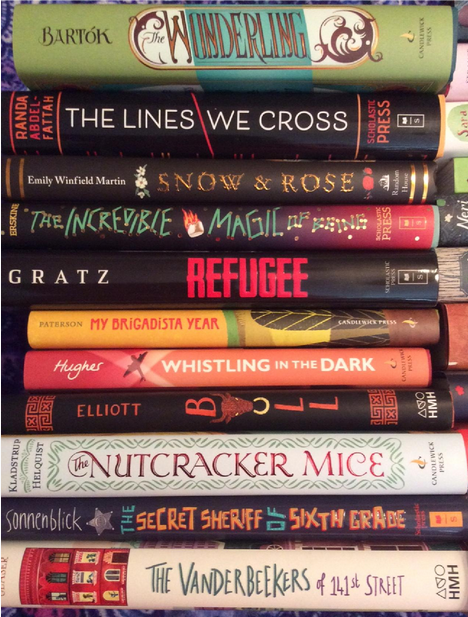 Saw Christine's post on reading challenges, and thought I'd take a look at my own reading challenge. She writes, " I love the idea of so many of the challenges, but I struggle with the follow-through. And I'm starting to wonder if participating is actually helping improve my reading life -- which was the whole point to begin with! So I've decided that needs to be my litmus test of whether or not to re-join a challenge for 2018: has this particular challenge helped my reading life in the past? 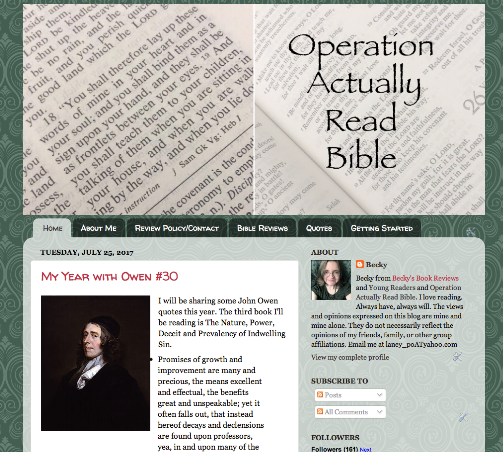 No matter how worthwhile the goal is, or how interesting the set-up, a reading challenge that hinders my reading life is not serving a worthwhile purpose for me." Goodreads Challenge: YES. 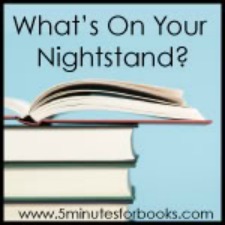 This isn't a no-maintenance reading challenge. You do have to add the books to Goodreads and be sure to add the date you finished it. But essentially, Goodreads does ALL the work. They even tell you how many books you're ahead or behind for the year. Since it's almost a sure bet that I'm on Goodreads at least a couple times a day, this one is an obvious yes. Alphabet Soup Reading Challenge. MAYBE. 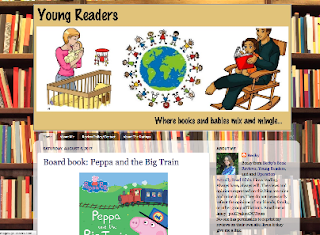 I've incorporated the alphabet into my picture book challenge and my middle grade challenge. I don't know if I'll be striving to read the alphabet in christian books in 2018. I've also done this one several years in a row, and you run out of books starting with difficult letters after a while. It may be time to take a break from this one. Maybe. For this year, I lack the letters J, X, and Z in (Juvenile, MG, YA, Adult) and E, Q, V, and Z in (Christian Fiction and Christian NONfiction). Back to the Classics. YES. This is one of my favorite, favorite, favorite challenges. Birth Year Reading Challenge. No. I had good intentions. But this is a lot more challenging than it first appeared. 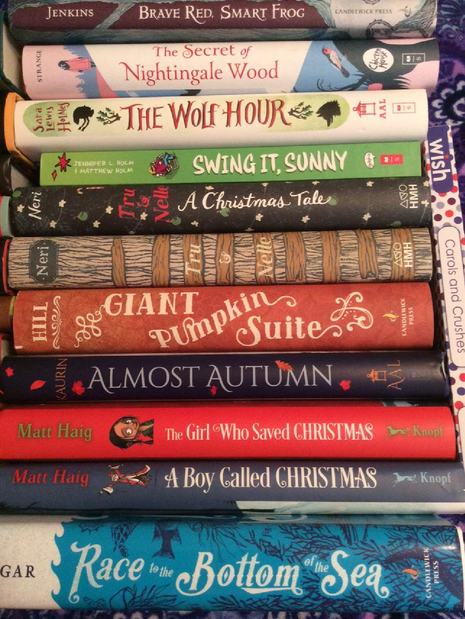 Blogger Shame Reading Challenge. NO. Again with the good intentions. But it turns out that shame is a HORRIBLE motivator. Or else I'm not really ashamed of anything I read or don't read at any given time!!! Let's go with that for the win. Charity Reading Challenge. Yes. I love this one. I do. Yes, I'm the host. Yes, I could do a lot better at this one in terms of keeping up with what I've reviewed. But I love it. European Reading Challenge. Maybe. This one is super-challenging, and I think luck has just as much to do with whether I get five books read or not. I definitely like seeing what I accidentally read that counts toward the challenge. But I'm horrible at planning ahead for this challenge. 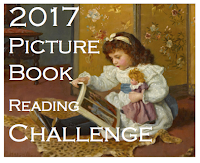 Historical Fiction Reading Challenge. Maybe. Probably. Historical is one of my favorite genres. I can read scores of historical novels in one year. The chances that I'll keep track of them on my post about the challenge? 50/50. The chances that I'll share my links at the host's site? NIL. 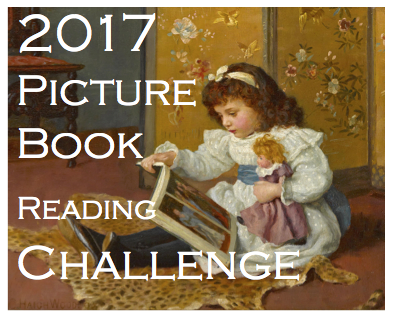 Old School Kidlit Reading Challenge. Maybe. Probably not. I love the idea of reading vintage kid books. I adore that aspect of it. I'm HORRIBLE at challenges with monthly themes. It will come down to a couple of things. Is it being offered again in 2018? Will the graphic be just as adorable? Are there monthly themes? Paris in July. Probably Yes. If it's offered, then I'll probably join again. I rarely read a lot for this challenge. But it can include non-bookish things. Picture Book Checklist. Yes. I love picture books. My goal is to read 100+ picture books a year. RIP. Maybe. If I do it's more for nostalgia than actual interest. This was one of the first reading challenges I joined. And in the first few years, there was a definite sense of community. Russian Literature. Maybe. I'm not sure it will even be offered again. It was in celebration of an anniversary--1917. But I am thankful I joined this year. 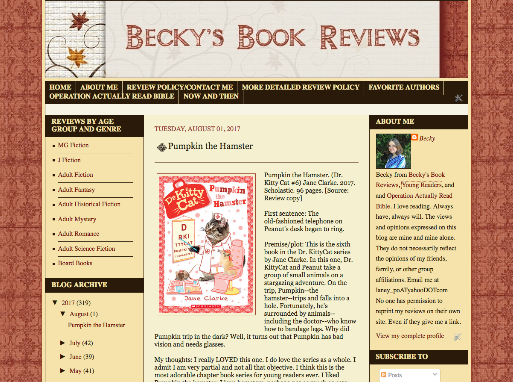 I discovered a new favorite author! Sci-Fi Experience. Yes. Some years I do better than others. But it isn't a challenge, it's an experience. 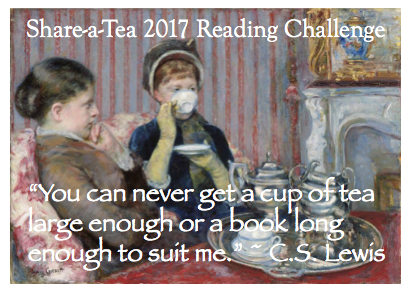 Share-a-Tea Reading Challenge. YES. I host this one. I love it. I celebrate it each and every day. War Bingo. No. I hosted it this year. Didn't even participate in my own challenge. Won't be hosting it again. First sentence: Good morning! Welcome to Tinyville Town. Premise/plot: In the town of Tinyville, everyone has a job to do. But one day, no one can do their job. The mayor asks why. The answer: TRAFFIC JAM. The solution: a new bridge! 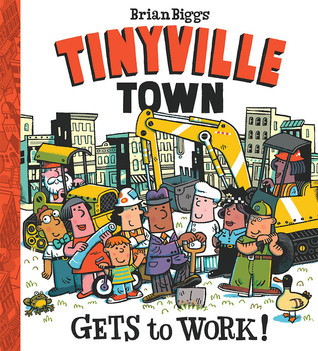 This picture book shows everyone in town working and coming together. My thoughts: I liked this one. I like the board book series perhaps even better. But. I liked it. I love the illustrations. I like seeing all the details. If your little one loves construction stories, this one is worth reading. First sentence: I wonder whether the novel-reading world — that part of it, at least, which may honour my pages — will be offended if I lay the plot of this story in Ireland! That there is a strong feeling against things Irish it is impossible to deny. Irish servants need not apply; Irish acquaintances are treated with limited confidence; Irish cousins are regarded as being decidedly dangerous; and Irish stories are not popular with the booksellers. 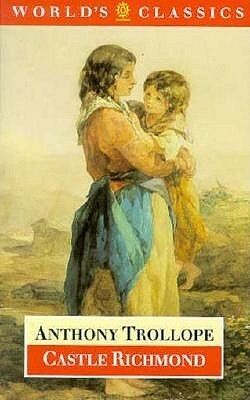 Premise/plot: Castle Richmond is set in Ireland at the start of the Irish Potato Famine (1845-1849). Is it solely about the potato famine? No. Not really. Would it be better if it were? Maybe. Maybe not. You see what the plot turns around mainly are two men in love with the same young woman: Herbert Fitzgerald and Owen Fitzgerald are cousins in love with the same woman, Lady Clara Desmond. If that were all, it wouldn't be all that surprising and unusual. But that's not all. Lady Clara's mother--also named Clara, a countess and a widow--is madly in love with Owen Fitzgerald. It is for herself that she invites this man into her home, into their lives. She doesn't suspect that Owen will be more likely to fall in love with the young daughter instead of herself. Patrick, Clara's brother, is best, best friends with Owen. So Owen is at their place a lot of time. Until...one day he declares his love for Lady Clara. Lady Clara says YES, I'll marry you. Her mother and brother say NO, NEVER. GET OUT AND STAY OUT. Why the rejection? Owen Fitzgerald is a poor man. He has no estate, no wealth, no title. And Lady Clara deserves an estate, wealth, and title. Herbert Fitzgerald will have an estate, wealth, and title--when his father, Sir Thomas, dies. When the story opens, that is looking like it will happen soon. Sir Thomas is STRESSED. It seems that his wife's first husband is very much alive and that Herbert--and his other children--are illegitimate. Herbert will not inherit after all. And the next in line....is, of course, Owen. You would think, Owen will win the approval of the family now! Owen and Lady Clara will live happily ever after. All will be well. But I forgot to mention one little thing. While the potato crop is failing, and Owen is sad and depressed--Herbert Fitzgerald starts wooing Lady Clara. Though she swore to be true to her love forever and ever, her mother has said that the marriage is impossible. And Lady Clara finds herself more and more okay with that. When Herbert proposes, she says YES. This happens days--maybe a couple of weeks--before the big reveal. And it isn't long after the big reveal that Sir Thomas dies. Lady Clara has said I love you to two different men. She's accepted two proposals. Now that the poor man will be the rich man, and the rich man will be the poor man....who will she stand by? who do we want her to stand by? Owen doesn't want the estate. Owen wants Lady Clara. Herbert does want the estate. He wants Lady Clara too. So when Owen offers to sign the estate back over to Herbert in exchange for Herbert breaking the engagement, Herbert says NO. Owen pouts. But that doesn't really change anything. Owen still doesn't want the estate. Owen still loves and wants Lady Clara. Meanwhile, Clara (the mother, the countess) is breaking her heart over Owen. If she can't have him for herself, maybe Lady Clara can still have him. At least he'd be part of her life. Maybe that would be enough. Patrick returns (oh so briefly) but Lady Clara says she won't break her engagement with Herbert (no matter how poor) to marry Owen (no matter how rich). Patrick and Lady Clara are a bit confused. Could Lady Clara really have fallen out of love so quickly with Owen and into love so quickly with Herbert?! Herbert runs away to London, and begins to study law. But this study is cut very short because of two letters the family lawyer receives. One is from Owen saying he has no plans whatsoever to accept the estate. The other is from the book's villain. The son of Lady Fitzgerald's first husband. He has news that will change everything....or so he claims. Throughout the book, readers get a few sketches here and there of how the failure of the potato crop has disastrous effects on the poor. It is very here and there coverage. And it's mainly on how the gentry and clergy come together to offer "relief" to the poor. One minor plot revolves around whether Catholics and Protestants can come together to help the poor. My thoughts: This book reminded me of Spin Doctors' Two Princes. "I ain't got no future or a family tree. But I know what a prince and lover ought to be. I know what a prince and lover ought to be." I had a hard time connecting with Lady Clara. I feel there was a definite lack of development. I know that both men loved and adored her. But we're not shown why exactly. Other than the obvious: she's young; she's presumably beautiful. It wasn't clear--at least to me--which direction Trollope would take with Owen and Herbert. Would this be a story of young lovers overcoming the objections of their families to be together and live happily ever after? Would Lady Clara prove loyal to her first love and not be persuaded by her family, or by the lure of money? Trollope never clearly shows us the moment when Herbert and Lady Clara fall in actual love with one another. It's more a matter of Lady Clara accepting an invitation to visit his estate and get all chummy with his mother, his aunt, his two sisters. The visit lasts a few days, and after that visit he proposes and she says yes. They'd never really had a relationship before that visit. Personally, I could see why Owen would be like WHAT'S GOING ON?!?! IS SHE SERIOUS?! Lady Clara doesn't appear to be a gold digger; she does appear--to me--to be FICKLE. Perhaps readers are supposed to be oh-so-impressed by the fact that when Herbert loses his inheritance, she sticks like glue to her man and refuses to end the relationship. I wasn't. I wasn't sure why she was in relationship with him--so quickly--to begin with. Both Owen and Herbert are good men. Neither is a villain necessarily. Lady Clara wouldn't be throwing away her life by marrying Owen. She wouldn't be throwing away her life by marrying Herbert. She has in many ways equal chances of happiness with either man. My question: DOES SHE LOVE EITHER MAN? I'm not sure Lady Clara is old enough, wise enough to know her own mind and her own heart. I think she was "caught up" in a moment--twice. I'm not sure she knew either man well enough to say yes. Lady Clara's mother--pathetic as she may come across--is more developed. One of the sad, awkward moments of the novel comes when Clara pours out her heart and soul to Owen confessing that he is the love of her life. There will be no happy ending for Clara....or for Owen. Young men among us seldom go quite straight in their course, unless they are, at any rate occasionally, brought under the influence of tea and small talk. When wars come, and pestilence, and famine; when the people of a land are worse than decimated, and the living hardly able to bury the dead, I cannot coincide with those who would deprecate God’s wrath by prayers. I do not believe that our God stalks darkly along the clouds, laying thousands low with the arrows of death, and those thousands the most ignorant, because men who are not ignorant have displeased Him. Nor, if in his wisdom He did do so, can I think that men’s prayers would hinder that which his wisdom had seen to be good and right. But though I do not believe in exhibitions of God’s anger, I do believe in exhibitions of his mercy. When men by their folly and by the shortness of their vision have brought upon themselves penalties which seem to be overwhelming, to which no end can be seen, which would be overwhelming were no aid coming to us but our own, then God raises his hand, not in anger, but in mercy, and by his wisdom does for us that for which our own wisdom has been insufficient. If He be wise, would we change his wisdom? If He be merciful, would we limit his mercy? We none of us wish to be drowned; but nevertheless there are some good qualities in water. Men and women when they are written about are always supposed to have fixed resolves, though in life they are so seldom found to be thus armed. It was marvellous how well Herbert Fitzgerald could lay down the law on the subject of Clara’s conduct, and on all that was due to her, and all that was not due to Owen. He was the victor; he had gained the prize; and therefore it was so easy for him to acquit his promised bride, and heap reproaches on the head of his rejected rival. Owen had been told that he was not wanted, and of course should have been satisfied with his answer. Why should he intrude himself among happy people with his absurd aspirations? For were they not absurd? Was it not monstrous on his part to suppose that he could marry Clara Desmond? Everybody should use their own judgment in everything they do or say, more or less. If we are to sympathise only with the good, or worse still, only with the graceful, how little will there be in our character that is better than terrestrial? It is the first plunge into the cold water that gives the shock. We may almost say that every human misery will cease to be miserable if it be duly faced; and something is done towards conquering our miseries, when we face them in any degree, even if not with due courage. We generally use three times the number of words which are necessary for the purpose which we have in hand; but had he used six times the number, she would not have interrupted him. What is in a man, let it come out and be known to those around him; if it be bad it will find correction; if it be good it will spread and be beneficent. A lawyer has always a sort of affection for a scoundrel, — such affection as a hunting man has for a fox. He loves to watch the skill and dodges of the animal, to study the wiles by which he lives, and to circumvent them by wiles of his own, still more wily. It is his glory to run the beast down; but then he would not for worlds run him down, except in conformity with certain laws, fixed by old custom for the guidance of men in such sports. And the two-legged vermin is adapted for pursuit as is the fox with four legs. He is an unclean animal, leaving a scent upon his trail, which the nose of your acute law hound can pick up over almost any ground. And the more wily the beast is, the longer he can run, the more trouble he can give in the pursuit, the longer he can stand up before a pack of legal hounds, the better does the forensic sportsman love and value him. There are foxes of so excellent a nature, so keen in their dodges, so perfect in their cunning, so skilful in evasion, that a sportsman cannot find it in his heart to push them to their destruction unless the field be very large so that many eyes are looking on. And the feeling is I think the same with lawyers. It is my opinion that nothing seasons the mind for endurance like hard work. First sentence: Baby goes to market with Mama. Market is very crowded. Baby is very curious. Baby is so curious that Mrs. Ade, the banana seller, gives Baby six bananas. Baby is so surprised. Baby eats one banana...and puts five bananas in the basket. Mama does not notice. She is busy buying rice. 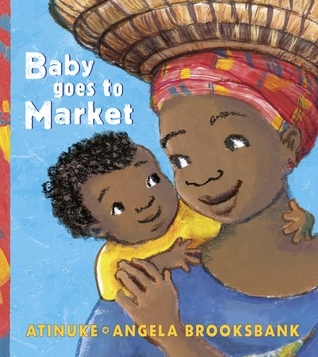 Premise/plot: Come along with Mama and Baby for a BUSY, BUSY day at the market. This one is set in Nigeria. My thoughts: I really enjoyed this one. The Baby is ADORABLE. It was fun to follow his story to see what gift he'd receive next. He would always eat *some* and then put the rest into his mama's basket. I enjoyed the text. I did. But I really loved, loved, loved the illustrations. First sentence: Sometimes he whispered his real name in the dark, in the middle of the night. "Luke. My name is Luke." 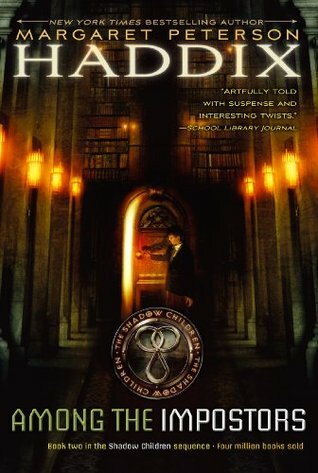 Premise/plot: Among the Impostors is the second book in the Shadow Children series by Margaret Peterson Haddix. The first novel, Among the Hidden, ended with Luke Garner's life in danger. The second book opens with Lee Grant preparing to enter a school for troubled boys, Hendricks School for Boys. He's been slipped a note by his rescuer, but, he's disappointed when he finally gets a chance to read it. How is a shadow child supposed to blend in seamlessly with other boys his own age? How is he supposed to look like he belongs in a school, in a classroom, in a cafeteria?! He's only ever known his own house, and mainly the attic at that. Still, Lee does his best. It turns out that he's not the only boy struggling to blend in. Could all the boys have something in common? Could they all be shadow children? Is it safe to admit to another shadow child your own real name? Lee wants more than anything to find a true friend, but, he's been taught not to trust. My thoughts: I am not sure that I loved, loved, loved this one. It could be I'm always in a rush to get through the whole series and experience all the books. So this book is just a stepping stone in a way. Definitely worth reading to get you from one point to another. But is it special on its own? Maybe, maybe not. I did notice some similarities to MANDY. I definitely recommend the whole series. This one introduces two new characters: Nina and Jason. Nina is from a girls school nearby. Jason is one of his roommates. First sentence: It's hard to talk to trees. We're not big on chitchat. That's not to say we can't do amazing things, things you'll probably never do. 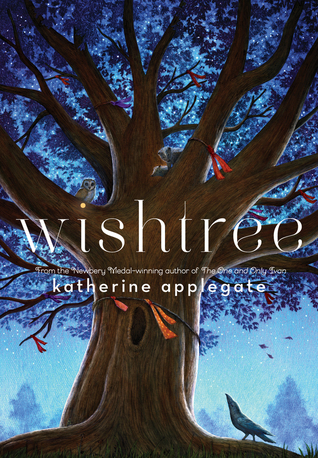 Premise/plot: The narrator of Katherine Applegate's newest novel is a tree named Red. Red is a wishing tree--a raggy tree. Every year people write their wishes and tie them to the branches by May 1. Red has seen a lot of years come and go--he's over two hundred years old--but this wishing season is different. The new girl in the neighborhood, Samar, has wished for a friend. Perhaps because some bully carved the word LEAVE on Red's bark, perhaps because Samar comes to visit him each night, perhaps because Red has a feeling that his days are numbered, Red decides to get involved with the human drama unfolding before her eyes. Find a friend for Samar--that is Red's number one priority. My thoughts: I really enjoyed this one. I enjoyed Red more than I ever thought I could--or would. I enjoyed all the animals that made Red their home. It was a lovely read. "For two hundred and sixteen rings, I've sat on my roots and listened to people hope for things. And a lot of times, those wishes never happened, I'm guessing." Bongo tucked a feather into place. "Sometimes that's for the best. Remember that kindergartner who wanted a bulldozer?" "I'm passive. I just sit here watching the world." "You're a tree, Red. That's kind of the job description." What picture books did you read this month? Which squares did you fill? Which squares are you having trouble with? How many until you bingo? Do you have suggestions for other participants? Which categories did you check off your list? What is your goal? How close are you to meeting that goal? Which categories are you having trouble with? Which letters have you read? How many more to go until you've read the alphabet? Which letters are you having trouble with?